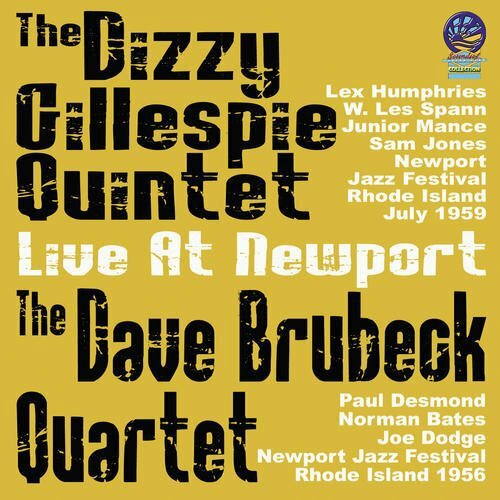 This rare and highly collectible CD contains music from The Dizzy Gillespie Quintet performing 'live' at the Rhode Island Newport Festival in July 1959. The group features W. Les Spann on guitar and flute, Junior Mance on piano, Sam Jones bass, Les Humphries on drums and of course the inimitable Dizzy Gillespie blowing up a storm on trumpet. The Dave Brubeck section of the CD comes from the Rhode Island Newort Festival in 1956 and features Paul Desmond on alto saxophone, Norman Bates on bass, Joe Dodge on drums and of course Dave Brubeck rattling the ivories. If you have any questions about this product by Sounds Of Yesteryear, contact us by completing and submitting the form below. If you are looking for a specif part number, please include it with your message.